It is better to be safe than sorry. Therefore, if you have concerns about the safety of any laser display, contact the venue, the producers, and also any appropriate government agencies. These can include local fire code enforcement, and local, state and federal regulators. For example, in the U.S. contact the FDA's Center for Devices and Radiological Health, and your state laser agency. In the U.K., contact Public Health England and the local authority for approving shows. Links for agencies can be found at the LasershowSafety.info Links and Resources page. If the show was done by an ILDA Member (see here for list), you can also file an Ethics Complaint. ILDA can investigate and can take action within the association. Our most serious penalty is to expel a Member from ILDA. However, any serious problems or concerns should first be addressed with the venue management and government regulators. They have the authority and duty to stop unsafe or illegal laser shows. Can a video prove that a show is unsafe? Cameras can be set to make light or dark exposures. 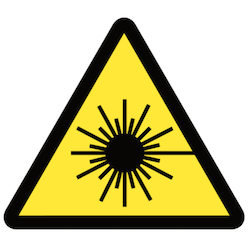 Because of this, photos or videos that depict apparently-too bright lasers can look misleadingly hazardous. On the other hand, pictures or videos depicting apparently dim lasers can look misleadingly safe. For this reason, ILDA does not use the light levels in photos or videos exclusively to determine if a show is hazardous or safe. There needs to be other evidence or indications before trying to draw a conclusion. In some cases, a video can prove whether a show is illegal. For example, a video can depict whether lasers scan into the audience. If the show is in the U.S., and the laser show company does not have an FDA variance permitting audience scanning, then the video is proof that the company violated its variance. Videos have been cited by FDA as evidence in at least one case where FDA revoked a laser show company’s variance.